It isn’t a book’s fault when you’ve read a version of it better suited to your own personal tastes. 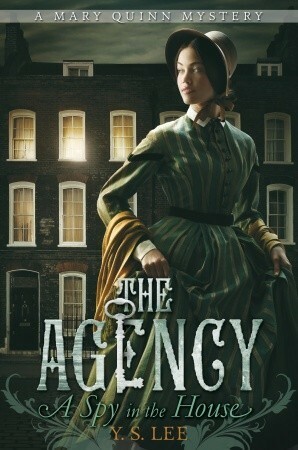 I feel poorly for nor liking A Spy in the House more, since as a straight on 1850s historical fiction mystery should be right up my alley. I am a fan of Alex Grecian’s Murder Squad series which starts with The Yard, which is the same basic set up, but 40 years later. But I was left underwhelmed. While I was finishing this book and contemplating both my star rating (2.5) and my review in general the twittersphere blew up about a YA book The Continent, and one of our favorite authors, Courtney Milan, got involved in the discussion, which meant that I got caught up quick. What it basically boils down to is that persons of color in The Continent were mishandled (racist and demeaning descriptors of POC, per the reports), and people spoke out via the methods available to them. The author and her supporters are falling back on a free expression. Free expression means that everyone is going to be made uncomfortable by others at some point. But what stood out to me was Milan’s point and emphasis about reading more POC authors, which is actually how I got to this book in the first place, and realizing that I as a white reader need to be aware of my reactions to what I’m reading. I can’t just sit back and say “I didn’t connect with this for some reason” and not look into the idea of is it simply that this book is handling a viewpoint different than my own, and different to the conventional story arc? I stepped back from this review and thought about it long and hard. Was the trouble I had because the narrative was typical and from a POC author? 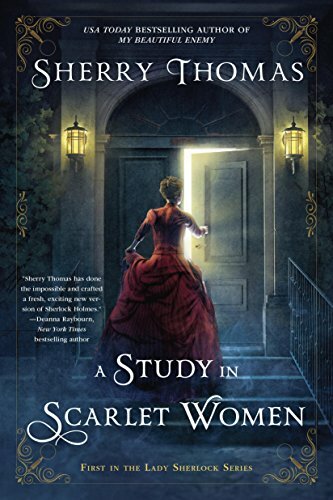 I’ve come to the conclusion of no, that my real struggle with this book is that it is Y. S. Lee’s first book, the pacing is slow, and it’s a bit more YA than I prefer. But if you are looking for more insight into the conversations surrounding representation in books, particularly YA, Becky Albertelli and Justina Ireland had a great threads on Twitter as well. I have some thoughts on empathy, kindness, and representation in kidlit, and this probably won’t be super concise. 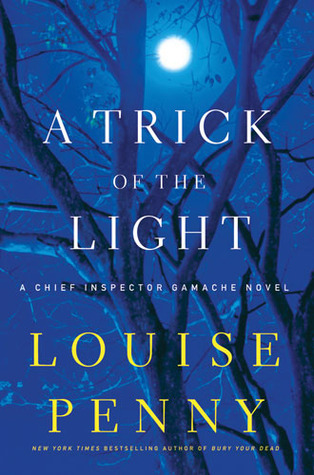 My chief complaint when I read A Rule Against Murder this summer was that while it was an Inspector Armand Gamache novel with all that entails, and it featured some of the characters who populate Three Pines, the book was not set there and I felt the lack of the world that Louise Penny had spent three books crafting. Well, in book five I got my wish to return to Three Pines, and Penny makes the reader pay mightily for the return. Mild spoilers for the book and series, I suppose, from this point forward. 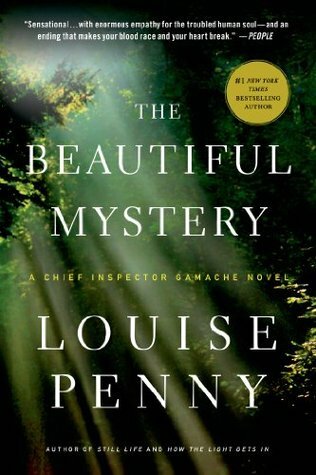 Louise Penny crafts incredible prose. I have chosen to listen to the Ralph Cosham read audiobooks for as long as they last (through book 10, I believe) and sometimes while listening I actually lose track of the plot threads because my brain is busy savoring the way the words are put together. 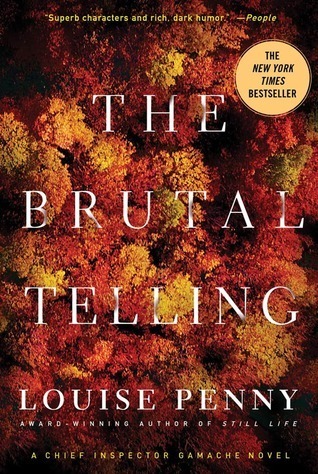 The way Penny uses language to describe art, music, and food is simply sumptuous. It is by far the best part of the books, followed closely by the character of Armand Gamache himself. At the end of book three, The Cruelest Month, the Arnot case has been put to rest and we are left with Gamache in what is perhaps his first time truly being post-Arnot. The books move away from the inner workings and conspiracies of the Sûreté du Québec, and instead focus on the solving of the crimes at hand. I find myself missing that side of the narrative as books four and five have narrowed their focus to the cases at hand. There is some expansion of the story of the residents of Three Pines, specifically the Morrows, but it takes a back seat to the mystery. In The Brutal Telling Gamache is called in when a body is found at Olivier’s bistro. From the beginning the reader knows that Olivier knew the dead man, whose name we do not know, while Gamache does not. Over the course of the book we watch Gamache, with his team of Beauvoir and Lacoste, and the new man Moran, piece together the seeming impossible mystery of the hermit, his cabin filled with unspeakable treasures, and who moved his body after his death, not to mention who actually murdered him. At the end of the book I’m not sure the man who was found guilty of the crime of manslaughter actually did it, and there are plenty of characters in the book who agree with me, perhaps even Gamache. It’s interesting to watch a character we trust implicitly, Gamache, have no choice but to follow the evidence where it leads, even if it means arresting someone he considers a friend. This book wasn’t perfect, there was a decidedly ridiculous portion of time where highly esteemed cryptographer doesn’t just do a very simple check to solve a code, and when the thing is solved it matters not to the overall case, it felt like a needless eddy in a book full of interesting eddies. There is also the problem of the case left seemingly dangling. My personal plan for these books is to read them in the time of year they are set, which means I won’t be reading Bury Your Dead until January and that is a long time to wait to find out what happens to Three Pines with one of its own in jail, and Inspector Gamache left with an unsatisfying conclusion to this case.